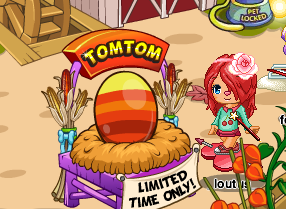 Chat here or scroll down for the latest Fantage Cheats, Tips and Glitches! Posted by astrid in Fantage Updates, Uncategorized. This Fantage Update is probably one of the best things ever to happen. As an art person and person who likes to do edits, this is EXTREMELY USEFUL. Heres a list of ways you can use it to your advantage! Want to make edits but youre not the best at recoloring? Just dye the hair, take a picture, and move it to your edit. You dont have to buy it each time, just take a screenshot. 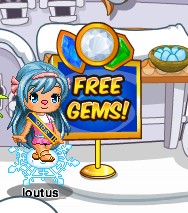 Have this wonderful hair style in your inventory but you really dont like the color? 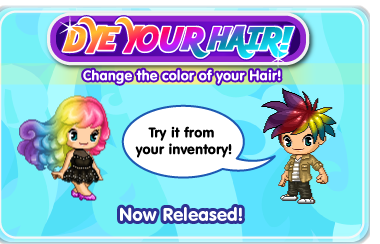 Dye it! Sometimes I go through my inventory to put together different dress/top and bottom/board/hair outfits, and they all go perfectly…. and then the hair I wanted to use just isnt the right color. Hair dye! 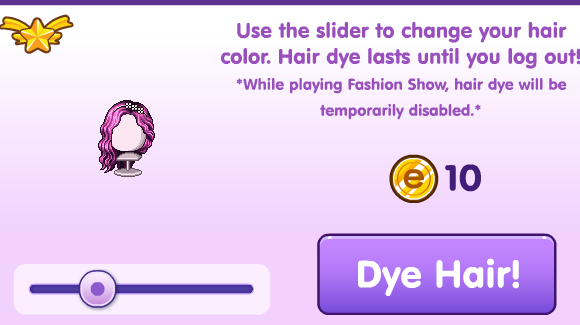 I really like how Fantage made it only 10Ecoins if youre a non-member using hair dye. Its not permanent, just like real hair dye, but its really cool while it lasts. Posted by astrid in Fantage, Fantage Holiday, Fantage Updates. Fantage has opened their third Youtube Video contest, and the details are all out! You could make a movie about the time you walked on water and became Jesus? A dramatic acting of saving your pencil before it hits the floor? Or Sherlock Holmes and the mystery of why my posts are never on time? So this contest is focused on using items from the wardrobe in Zach’s Acting Academy. 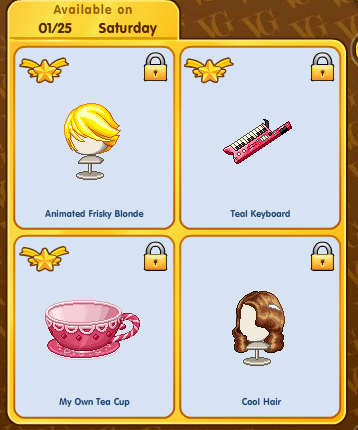 Basically what the wardrobe does is it allows you to find any item on fantage, and wear it while in the acting room. 1. Go into Zack’s Acting Academy and enter a stage. 5. Once in a stage, click the wardrobe button in the top left-hand corner. Bunny Nose: Apr 2011, Body Acc. Remember, these items are for keeping, and they disappear once you leave the stage or open your inventory. This is always available to members, but non- members can use it ONLY during this event! 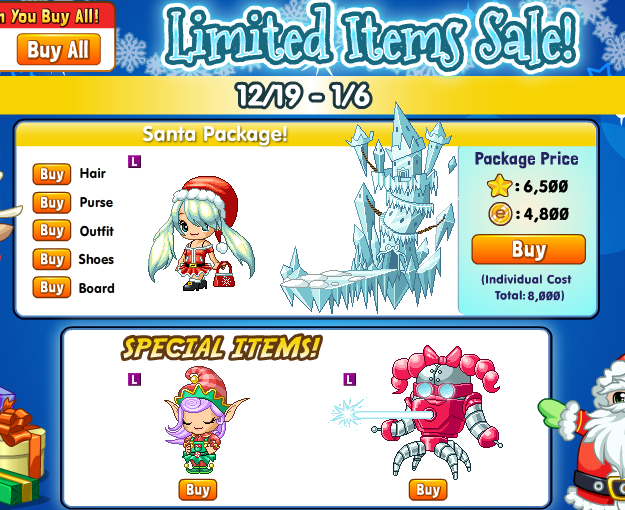 Posted by astrid in Fantage Holiday, Fantage Updates, Uncategorized. 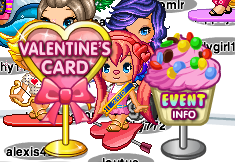 Fantage’s Valentines’ Day party is now here! using the button next to the daily quiz! Frosting Fuss and Cupcake Chaos is how I’ll spend my day. 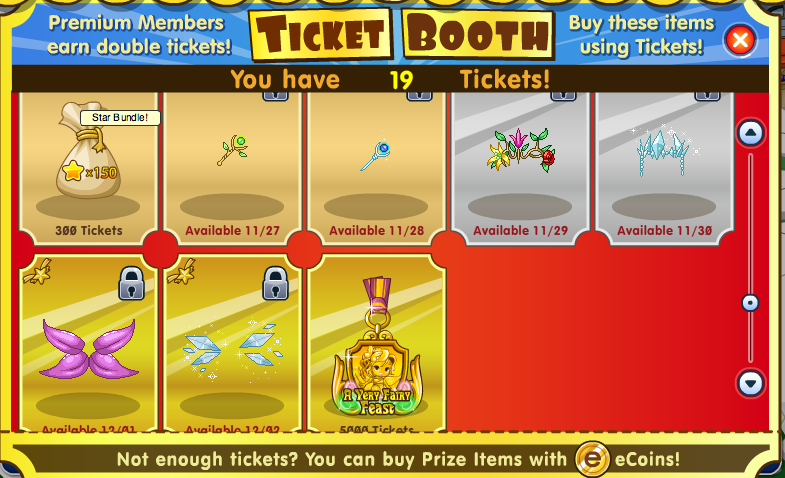 Cupcake Chaos gave me 42 tickets per game, and Frosting Fuss gave me 15. You’ll have to play a lot to get those prizes we’ve seen! where the cutest, pinkest, dresses are here. 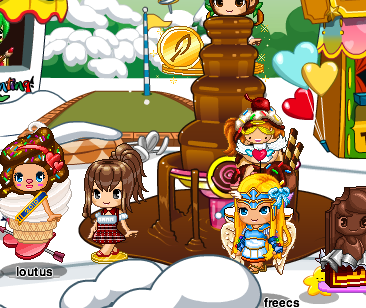 Theres a chocolate fountain at the carnival. you can write one too, you can do better than me. Write it all, in a Fantage card. 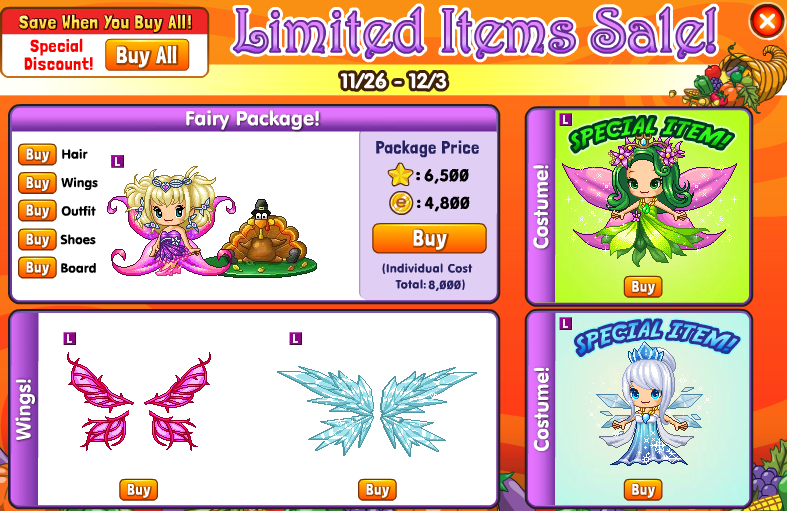 Posted by astrid in Fantage Items, Fantage Upcoming. Tomorrow, Vintage gold is putting the most requested item on sale! 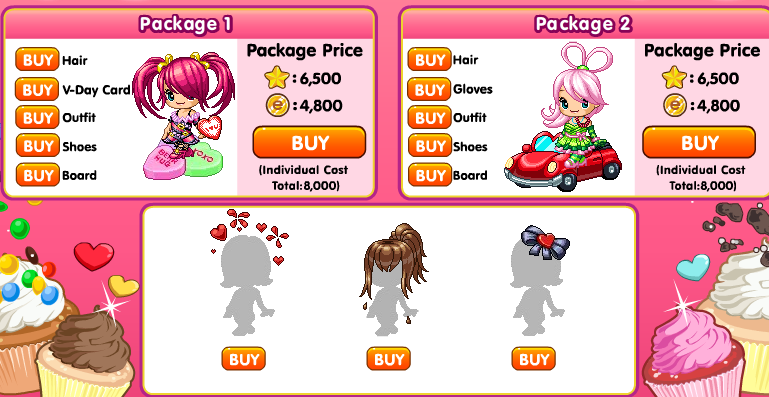 The last time Fantage made a separate announcement for this was when the Basketball hair was selling! 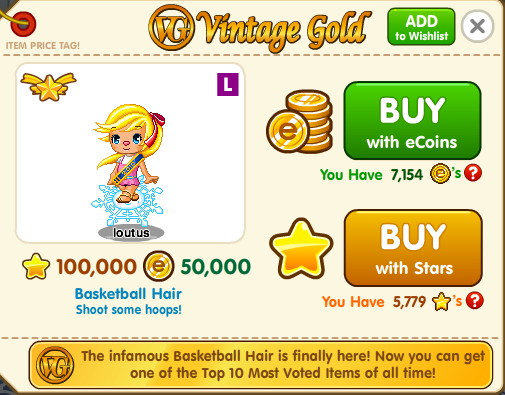 Now, Im guessing the price of the hair will be around 100,000-175,000 starz, and 50,000-80,000 ecoins. Im making these guesses based on the price of the Basketball hair. Well, I guess we’ll see tomorrow! Posted by astrid in Uncategorized. 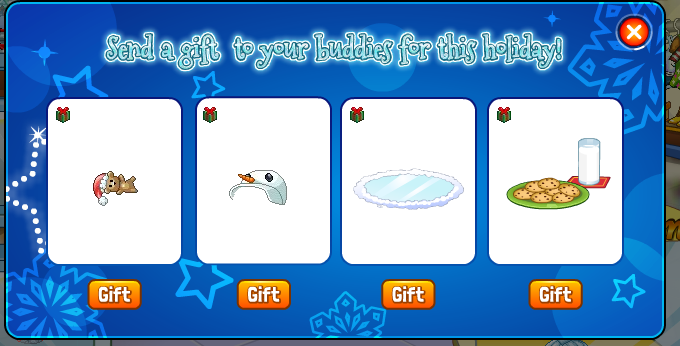 As usual, there are Limited items, but lets look at the Ice Rink thats opened on the beach, and the limited crops you can plant in your Fantage garden! Heres the ice rink at the Beach. My only problem here is that if you look around, the seashell collecting is still here…. 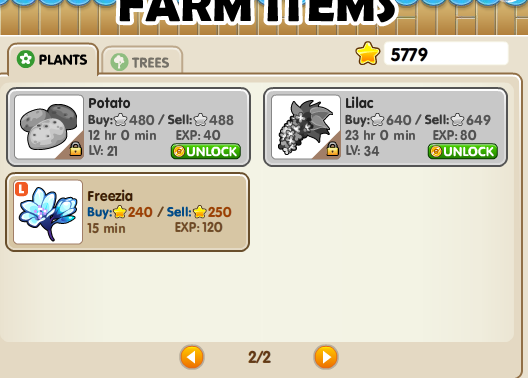 I HIGHLY RECCOMEND you grow the Freezia plant, because it really helps you level up your farm medal quickly. 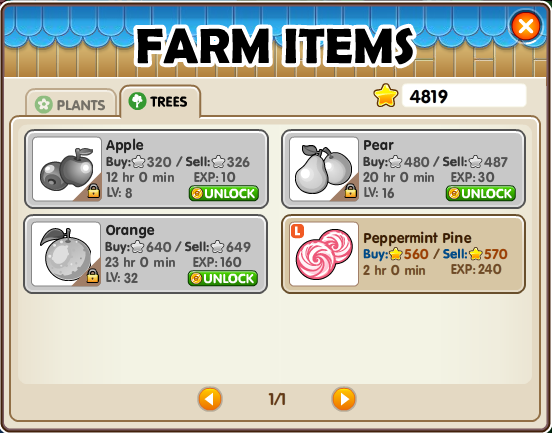 I planted five, and gained four levels. Keep warm in the winter everyone! See you soon! 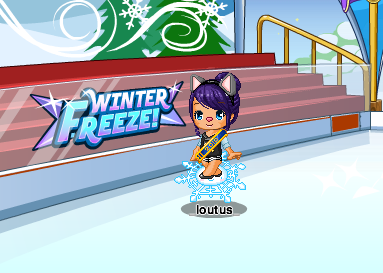 Posted by astrid in Fantage Help And Cheats, Fantage Updates. *Ugly Sobbing* Exams…. A few more to go…. 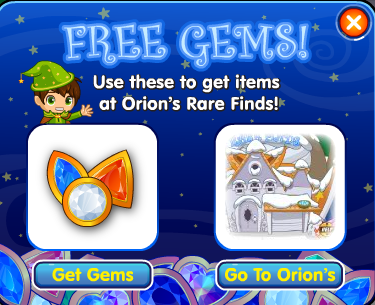 If you need a head start with getting gems, go over to Downtown, or even just check outside the Wizard domain to get some free gems, regular ones and ecoin gems! Also, remember that as you get rare items, your rare medal will level up if youre a member! Have fun guys! 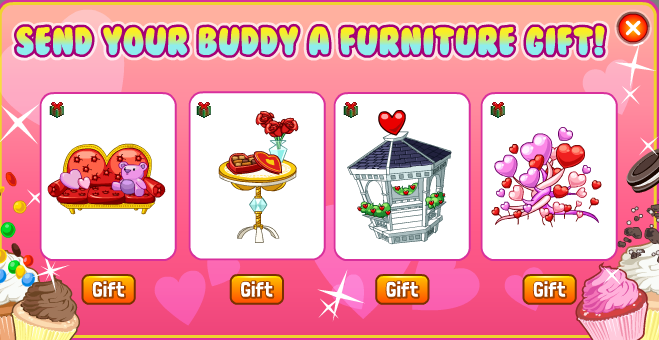 Posted by astrid in Fantage Christmas, Fantage Help And Cheats, Fantage Holiday, Fantage Updates. I hope you all had a wonderful time with all your loved ones on the 25th! What did you all get for Christmas? Well, on that day, Santa stopped by his cabin on Mt. Fantage with presents too. Its a christmas tree tank top for girls, and a shirt with the same concept for guys. 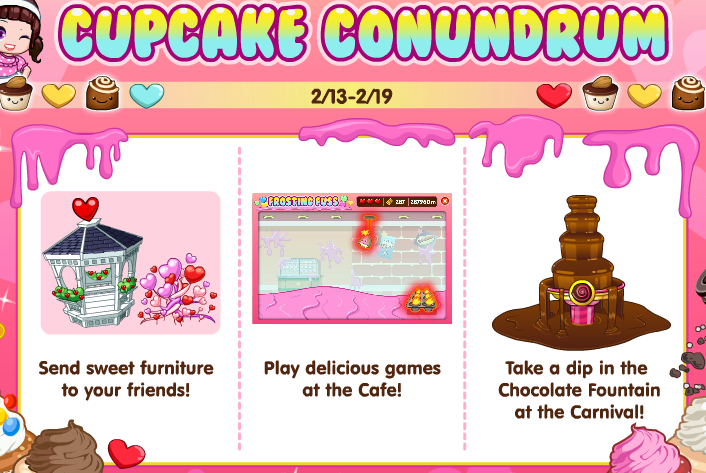 Try all the minigames! This is a pretty long event with a bunch of stuff, and tons of prizes at the booth! See you guys for New Years at the Ball drop! Im definitely ready for 2014! Wind here, I know it has been SUCH a long time choosing some new bloggers but it’s honestly because I completely forgot about it! I have to say, Loutus has done an absolutely superb job in updating this blog, it makes me happy that this blog has been used by countless Fantagians for information since March of 2008. almost 6 years!! Now, I have looked at all the applications (They never showed up in the comments section because I had to approve them first) and I can announce that Aprsept and Princess_MooMoo have been chosen to help Loutus maintain this blog, congratulations! I also hope that now there are more people running this site then Peace Police events can return, keep an eye out for those! For those who applied but were not successful do not worry! We may always need new bloggers in the future! I’ll now leave you all in the hands of the new bloggers, I shall return in March 2014 for a special 6 year anniversary party! 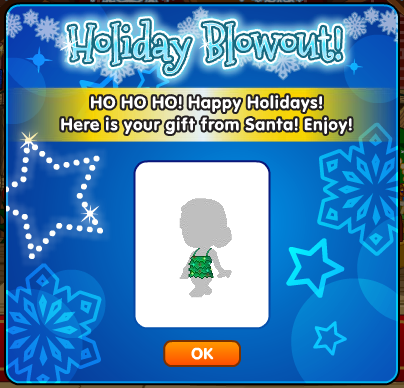 The holiday season has started, the perfect time for a holiday party on Fantage! 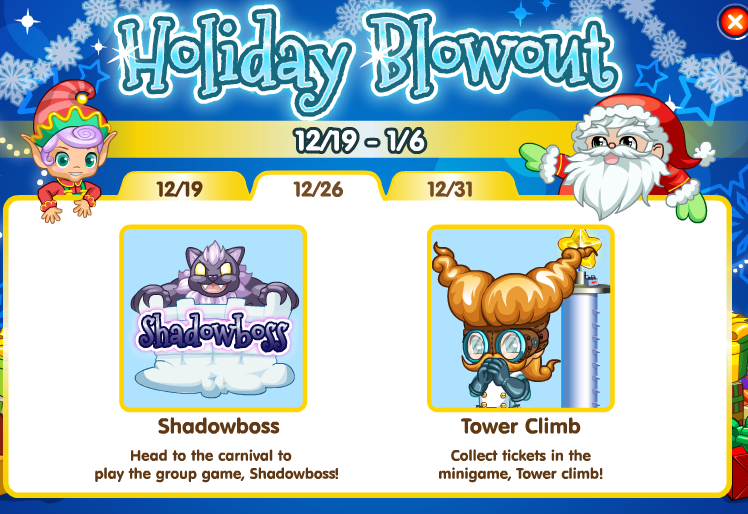 Theres a bunch of things you can do from now until January, but they’ll be released later on. (I will update this post). To light the tree, go to Mt. Fantage and wear blue, yellow, or red clothing items. The lights on the tree will turn whatever color youre wearing. 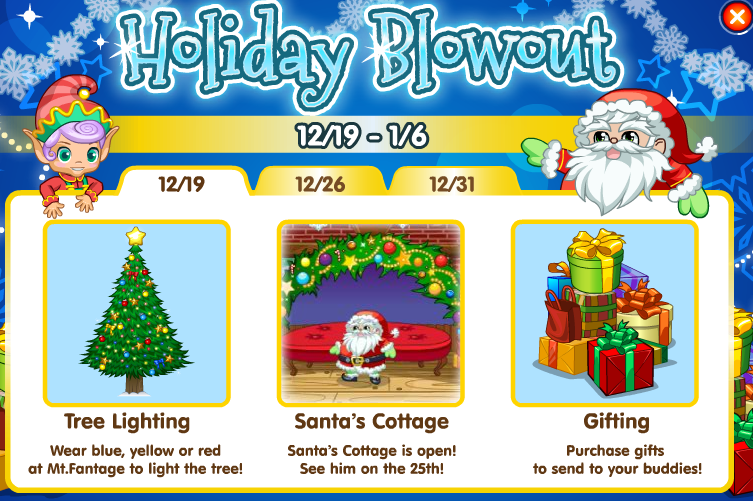 Santa’s cottage is back, and its at the same place it always is, Mt Fantage. Sanata isn’t here yet though. You’ll have to wait until Christmas! Blizzy is back! 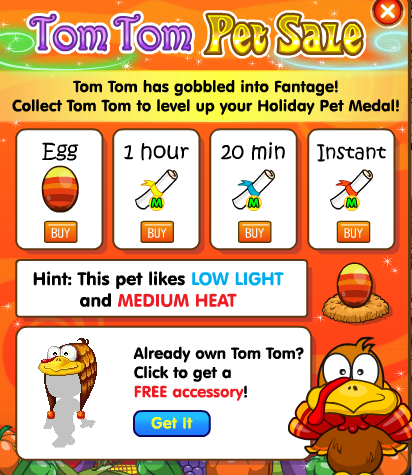 Go to Downtown, Uptown, or Pet Town to buy your holiday egg! 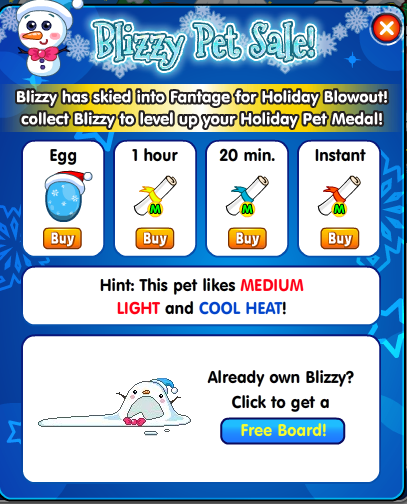 If you already have a Blizzy, you can get the free item. 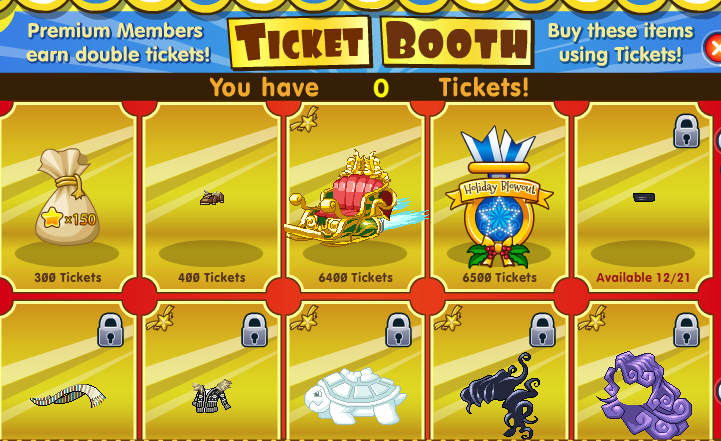 The ticket booth is back and you can exchange your tickets you get from those holiday minigames for prizes! theres a minigame at Mt.Fantage, and more minigames will be release later on during the event! 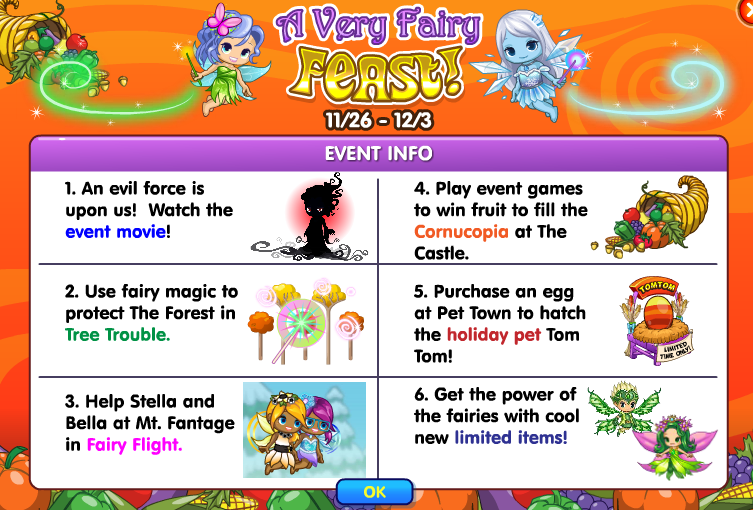 But hey Fantage did do a pretty good job of combining both Fairies and Thanksgiving! Like Peanut Butter and Jelly, Unicorns and Rainbows. 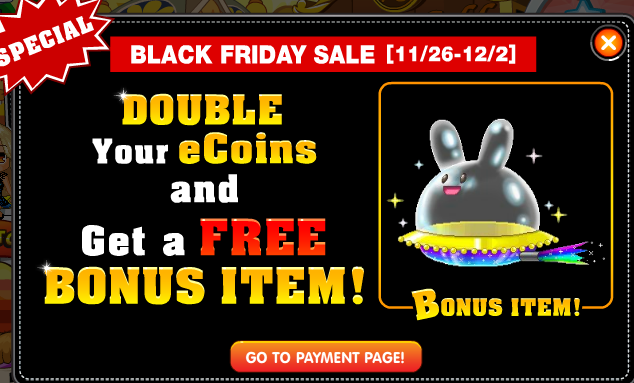 And a sign with the Black Friday sale for ecoins! For anyone who didn’t know, Black Friday is the day after Thanksgiving and stores usually have CRAZY sales and things so its the best day to go shopping. And in this case, shop for ecoins maybe? Right… So if you open your map up, you’ll see some other cool things going on in some other places. The Game called “Fairy Flight”, basically run across snow while clicking to jump over evil looking creatures. 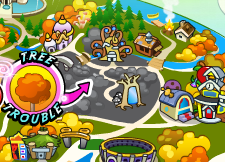 For the “Tree Trouble” game, you heal trees by clicking on them and yeah. You also get special advantages in the games if you buy the special fairy item, some sort of a yellow shooting star thing. 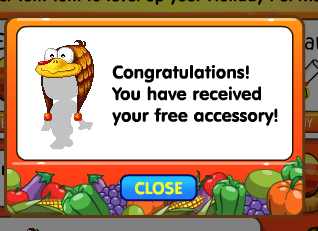 But at the end, you get Fruits and Tickets. Lemme explain what these Fruits and Tickets do. 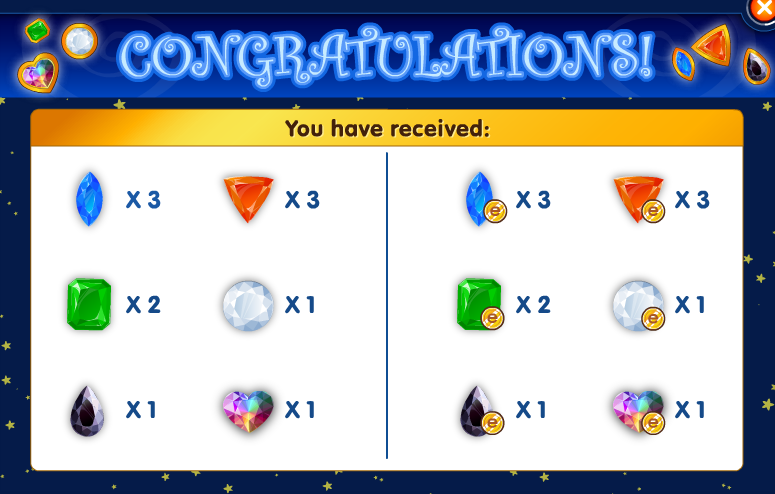 So at the end of the game, wether you won or lost (In my case, I lost terribly), a screen like this will show up rewarding you with the Tickets and Fruit. For the tickets, you can click on the tickets button in your upper right hand corner to see the prizes at the prize booth for this event, or, you can physically go over to the Ticket Booth at the carnival. You can then trade them in for prizes! 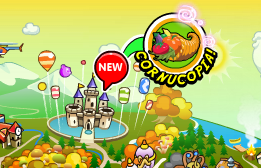 For the Fruit, go over to the castle and go inside to see a cornucopia. 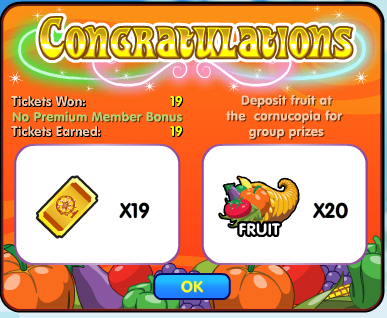 (Not a Hunger Games cornucopia, this one actually has fruit, not weapons). 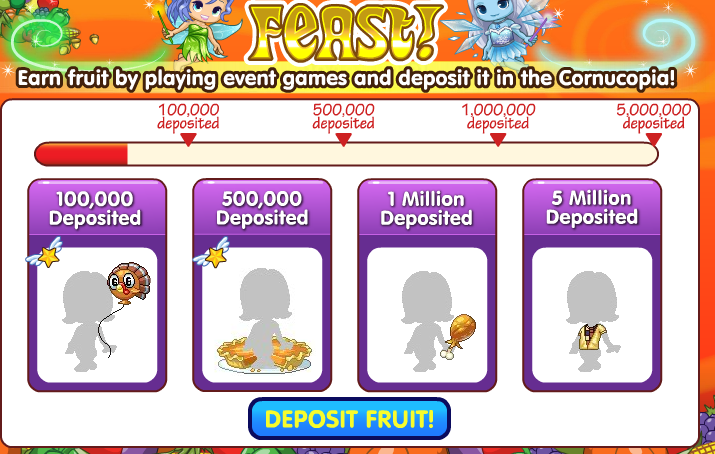 Here, you and everyone else in Fantage will pile their fruit together and collectively get prizes once you go past a certain number of fruits. You can also donate starz instead of fruit if you want, but its a lot more fun to get the fruit from playing games. 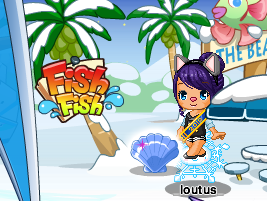 Then, you can head over to pet town to see the Limited pet that Fantage brought back! Its Tom Tom the Turkey!